VR.5 follows Sydney Bloom, a young woman whose computer scientist father and twin sister were killed in a car accident when she was just a kid. She grows up into a tech geek of a girl, working on the phone lines and spending hours just listening to all the calls as other people live and love and fight on the phone. Her other means of vicarious living is her ultra-high-tech 1995 computer, which has a Virtual Reality program that can simulate a number of environments and experiences in glorious 90’s CGI, but it’s not quite enough. Sydney accidentally discovers she’s capable of entering another level of virtual reality, the so-called VR.5 (the other levels, in order, are: ordinary computer interface, video game, flight simulator, and “cyberspace”), which seems to operate on a more psychological/collective unconscious level. She’s one of only a handful of people who’ve been known to do this, and that ends up making her a valuable asset to the shadowy organization referred to as “The Committee.” She’s forced into working for them, and their goals are ambiguous, but she does have her trusty childhood friend Duncan around to help out. Sydney Bloom with her totally-not-sunglasses VR gear. Most of VR.5‘s story arcs deal with the Bloom family and their complicated relationship to VR, while also focusing on the Committee and just what exactly they are and what goals they’re trying to achieve. The Committee’s representatives are surprisingly complex characters, and for a show that’s only 13 episodes long there’s some incredible character development going on. The VR used in the show runs on dream logic, jumping from place to place and scene to scene, sometimes even radically changing genres. It’s accessed via calling someone on the phone and hanging up the receiver on her “acoustic coupler,” which is a piece of outdated technology that I’d never even heard of before this show. Sydney can kind of control the initial setting by using the cyberspace-level VR program, but it can change easily, and elements of both peoples’ psyches influence what she sees. There must be someone else on the line, even if that person is catatonic in real life, which furthers the “collective unconscious” theory. Most people don’t remember entering VR with her, but it can influence their behavior and personality afterward, and the consequences of that are definitely one of the big things explored in the show. She mostly uses the VR to dig into peoples’ minds at the Committee’s request, although usually not exactly in the way they’d prefer. It’s actually kind of like Paprika, in that regard. Yeah, he’s basically just Duncan. VR.5 features a number of faces familiar to fans of 90’s sci-fi, or 90’s TV in general. In the first episode alone, there’s Louise Fletcher (best known to sci-fi fans as Kai Wynn from DS9), who plays Sydney’s mother; Adam Baldwin (Jayne from Firefly); Robert Picardo (Voyager‘s holo-Doc); and Penn Jillette, stage magician (who once appeared on Babylon 5), all in minor roles. And, of course, there’s Duncan, who’s played by our old friend from Total Recall 2070, Michael Easton. It’s funny to see that his Keanu Reeves-esque behaviors are already present here, although it’s more Bill & Ted than The Matrix. Duncan isn’t quite as spaced out as Ted, but more of a laid-back hippy-type with idle philosophical commentary. Last but not least, there’s Anthony Stewart Head as Oliver, who played Giles over on Buffy. He doesn’t show up for a while, though. As I mentioned above, the character development is excellent. Sydney’s Committee contacts have the most development, but that doesn’t mean that she and Duncan don’t get their fair share. Even the Committee itself, for a secret society, isn’t quite what you’d expect as the show goes on. The show makes great use of its premise, really seizing the opportunity to fully explore this fictional technology they’ve created and the kind of effects it would have when used. If you can call people and in the space of a few seconds, completely alter aspects of their personality, or trick them, or tear their mind apart for information, all without them ever being aware, what would the consequences be? Even unintentional damage is a possibility, in that it connects these two minds in such a way that you can’t be sure who’s conjuring forth what. Since the VR worlds run on dream logic, it lends itself to some crazy situations, which gives opportunity for a wide variety of costumes and makeups for Sydney. The images are often hyper-saturated or even recolored, but can just as easily be black and white. The CGI used in the lower levels of VR, as seen in the pilot, don’t reappear much, thankfully. But more than that, a ton of old movie and TV references pop up in the scenarios created, even obscure stuff like Sapphire & Steel. 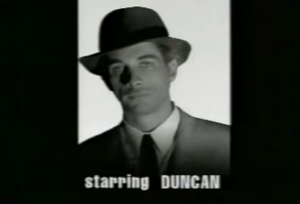 More generally, there are strong film noir influences (see Duncan above), and even a whole episode devoted to playing with those tropes. If you’re the kind of person who’s watched enough TV and movies to be looking for forgotten shows like this, then you’ll love this aspect. VR.5 also establishes early on that it’s not playing around when it comes to death, even though you might get that impression. No spoilers, so I’ll leave that here without further elaboration. There’s also not a whole lot of romance going on, which is nice. I wasn’t kidding about how bad the CGI is. VR.5 is VERY, VERY cheesy to start with, and that never really goes away, even as it gets extremely dark. That makes for a weird combination, and I think part of it comes from this early 90’s, “technology can accomplish anything!” vibe that runs through the show. The dated technology is laughable already, so when you mix that kind of attitude with it, you’re destined to have some cheese as a result. While the show’s themes are right in the cyberpunk wheelhouse, it seemed afraid to fully embrace that aesthetic, although Sydney’s apartment can certainly get the look from time to time. They tried to keep it very close to the present, presumably for believability, but all that really did was anchor it to the past. Big white CRT monitors, dial-up modems and landlines (although we do see the occasional cell phone, they aren’t really used for VR), that sort of thing. It doesn’t even have the benefit of feeling retro, the way 80’s tech does… yet. 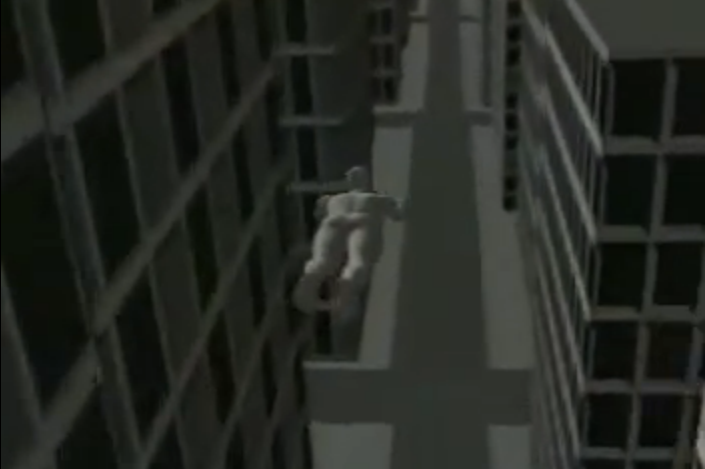 As usual, bad 90’s CGI appears, but we don’t see much outside the pilot; it’s mostly limited to the same “warping in” animation that’s played whenever anyone enters VR. More of a problem is that extremely low quality videos seem to be the only ones that exist. It hasn’t been released on DVD, from what I can find, so you’re pretty much limited to VCR rips. How did it end? 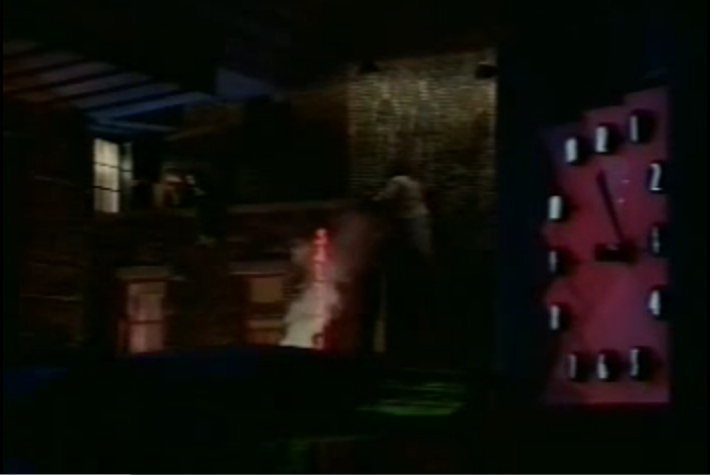 You guessed it: cliffhanger. It’s not as bad as some, and you could easily cut the last few seconds off and have a happier ending. I’d recommend doing that, personally. Very cheesy. With extra pepperoni. The show was kind of doomed from the start, with Fox only asking for 9 of the 13 episodes filmed (according to Wikipedia, the show’s creator actually gave them a 10th episode for free because the story wouldn’t have made sense without it) and setting it up as a midseason replacement. I can’t help but feel, when watching this, that had it been given more support from the network, it could’ve been nearly as successful as The X-Files. I don’t know that it would be a classic that stands the test of time; it’s far too rooted in the period it was made for that. But, I’m willing to bet that VR.5 would be fondly remembered for what it is, and that’s a character-driven show trying to emerge in a time when that wasn’t really appreciated yet. I didn’t exactly have high hopes going into this, and I was pleasantly surprised by what I saw. 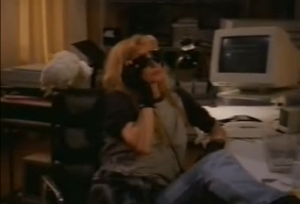 VR was very much in the public consciousness in the early 90’s, with shows like this and VR Troopers, as well as tech toys like the Virtual Boy (which was released not long after this show was canceled) and the Power Glove that couldn’t really deliver what they promised. I imagine that this was part of the problem with the show’s perception; the title doesn’t give you much of an idea of what you’re getting into, and most people had very little positive associations with VR at the time. 4/5 UFOs. A surprisingly good show that never got a fair shake, and still hasn’t to this day. A quick reminder of my rating system: a 5 represents must-see–a “hidden gem,” as it were. A 4 is good, solid television. A 3 is “cult classic” stage, where the show’s appeal is likely limited to a specific group. A 2 is flawed, but fun, or even “so bad it’s good,” depending on the series and its release timeframe. A 1, of course, is avoid at all costs. I watched VR.5 on Youtube here, and that’s likely the only place you’re going to find it. It’s all in English, although there’s a few seconds of overdubbing (likely announcers, though I can’t tell) in some of the videos. You gotta take what you can get for shows this obscure. I actually considered giving this the first 5, but I don’t think it’s quite at that level. Still, it’s a show with a good level of quality to it, and I expect most sci-fi fans can find something to like in it.